Couldn't ask for a better location. The host was the nicest guy ever! He was helpful with anything we needed, and even brought us baked good in the morning. Parking was easy to find. We will be back for sure. It was my best experience with booking yet. 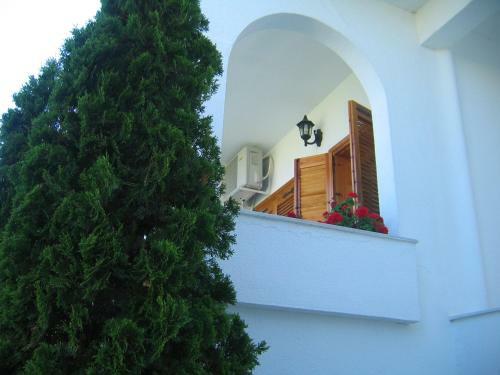 Two minutes from the beach and one minute to restaurants. Excellent property all around. Wifi was fast also! This is where you want to stay! 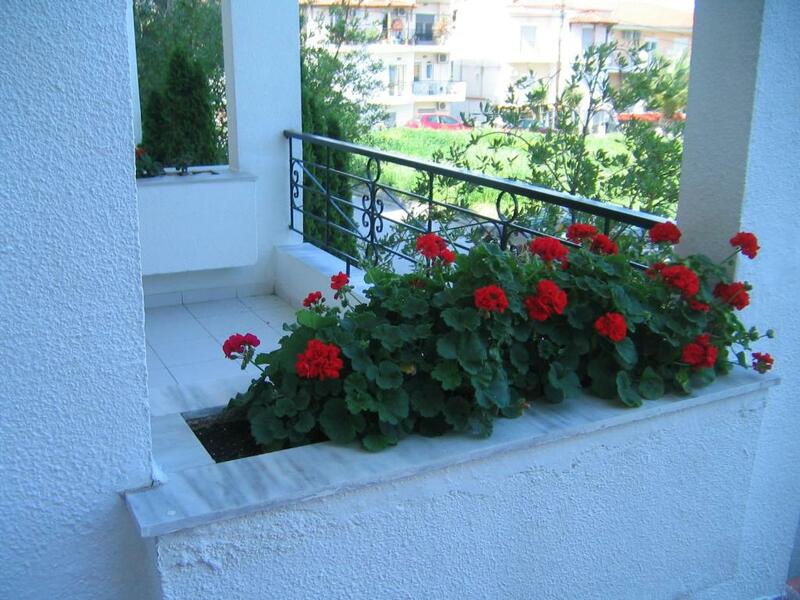 Cleanness and friendly atmosphere. The hosts were perfect. We felt as home, you have everything you need there. The owners are great and social, ready to help you with any of your request. Large room, big balcony, close to the sea and the shopping taverns. Very friendly people. This was the 3rd time we are staying in this hotel. The owner of the place called us and ask we need anything before come.She told she will wait for us to check in..Maria and her family was waiting us when we arrived their place.She recommended very nice restaurants for dinner. She also advice about all city and near place too.Thanks for good behaviour. room was clean .room has also all staff for simple cooking we didnt use. the place is in the city center ,u can reach everything just in 2 min by walk. The good club for night also u can walk 10-15 min. if u wanna go to beach u need walk just 5 min by walk. if u r going to there ,u should go to afytos. nice place for dinner also.10 min by car . u can find park very easy around ur hotel. 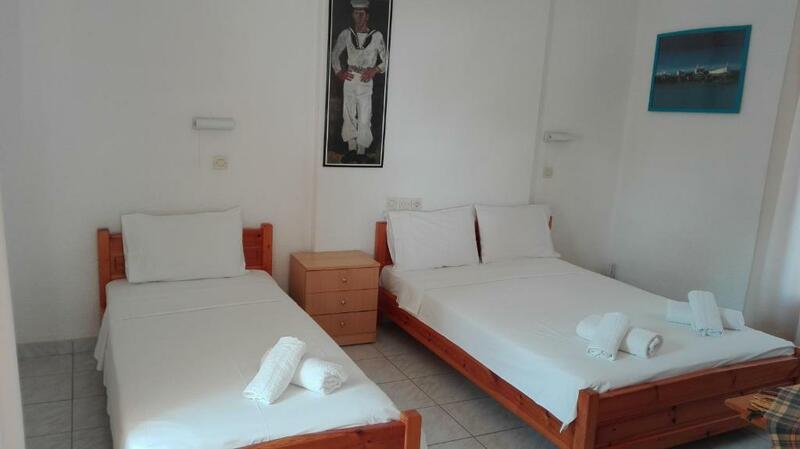 Lock in a great price for Rappos Studios – rated 9.1 by recent guests! Just 500 feet from the beach, Rappos Studios is within 350 feet from restaurants, café-bars and shops in the center of Kallithea Village. The simply furnished studios offer cooking hobs and free Wi-Fi. Opening out to a balcony and air conditioned, each features a kitchenette with fridge and kitchenware. A flat-screen TV with cable channels and private bathroom are standard. Public parking is located next to Rappos Studios and is free. The beach of Afitos is at a distance of 1.2 mi, while Kriopigi Beach and the popular village of Kassandra are both 2.5 mi away.It is 53 mi from Thessaloniki International Airport. This is our guests' favorite part of Kallithea Halkidikis, according to independent reviews. This property is also rated for the best value in Kallithea Halkidikis! Guests are getting more for their money when compared to other properties in this city. 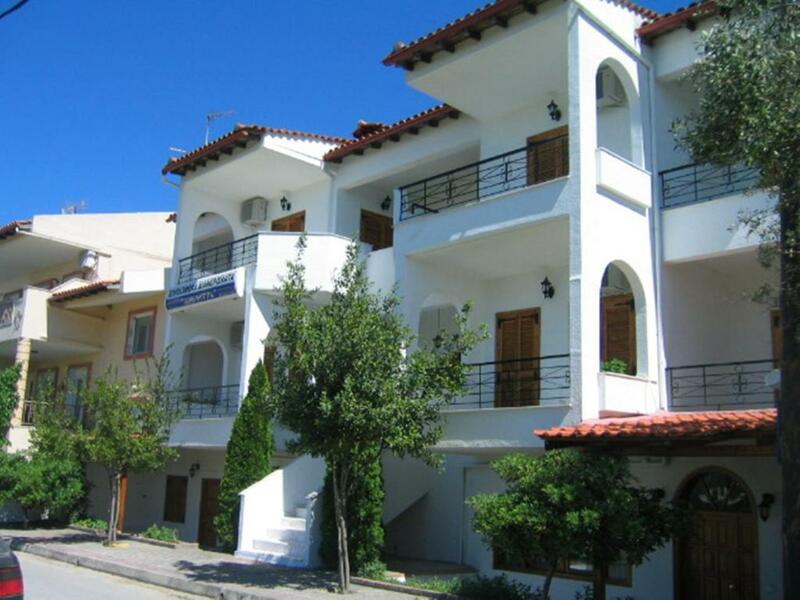 뀐 Located in the top-rated area in Kallithea Halkidikis, this property has an excellent location score of 9.2! When would you like to stay at Rappos Studios? Within 492 feet from a beach, this simply furnished and air-conditioned studio opens out to balcony. The kitchenette offers a fridge, kitchenware and cooking hobs. A TV, safety deposit box, free Wi-Fi and private bathroom are standard. Within 492 feet from a beach, this simply furnished and air-conditioned room opens out to patio. A TV, safety deposit box, free Wi-Fi and private bathroom are standard. This studio features a kitchenware, cable TV and electric kettle. Τα δωμάτια βρίσκονται σε ήσυχη τοποθεσία μόλις 100 μέτρα μακριά από το κέντρο της Καλλιθέας. Τα δωμάτια βρίσκονται σε ήσυχη τοποθεσία, μόλις 100 μέτρα από το κέντρο της Καλλιθέας. House Rules Rappos Studios takes special requests – add in the next step! Rappos Studios accepts these cards and reserves the right to temporarily hold an amount prior to arrival. Please inform Rappos Studios of your expected arrival time in advance. You can use the Special Requests box when booking, or contact the property directly using the contact details in your confirmation. The owner, was clean, each day we had new towels. internet was very bad .maria told us about technical problem. actually all Chalkidiki has same problem.no good internet. We came not in the season,so it was a little bit cold.and almost no people. Ealrly in the spring most shops and disko are closed still. The place was awesome. 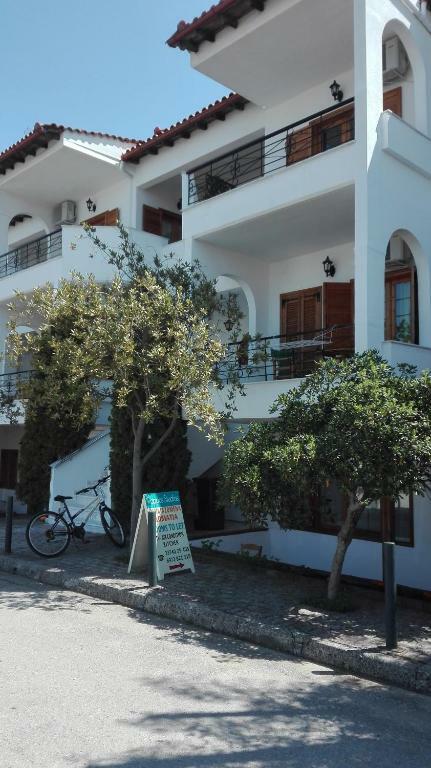 It has a top location (near the sea and the centre), you can park in front, the host is really, really kind and the price is good. Oh, and we had 2 balconies too. Stay longer than 4 days. Owners are very friendly and helpful. All the information and recommendations were efficient and really in our support. The studios was immaculate, so beautiful and very confortable. Great location in center and quiet in the night. Good place to visit the resorts of Kassandra. I recommend and I will return here!